As young people we are the ones who stand to be the most affected by climate change, but we think by becoming involved in groups like the AYCC young people are also in the best position to take action. Our volunteers are a diverse and passionate bunch of young people who are already doing incredible things on climate change in their local communities. AYCC Victoria has over twenty local groups across the state, from Ballarat to Albury-Wodonga and Geelong as well as in electorates and universities across Melbourne. We hold regular social and fundraising events like balls and movie nights so there will be plenty of chances for you to meet everyone in the branch. We also run regular trainings so you can develop your skills and knowledge in areas like communicating climate change, campaigning and project management. In 2013 AYCC Victoria was lucky enough to host Power Shift, Australia’s largest youth climate summit at Monash University. Our branch did an amazing job and recruited over 800 Victorians to the event. At the moment we're full steam ahead with the Don't Risk the Reef Campaign - always looking for more folk to help out! We love to hear from new volunteers who want to get involved, if you want to find out more send us an email (gemma@aycc.org.au) or come along to our monthly branch meetings which are held on the first Tuesday of every month at 60 Leicester St in Carlton. 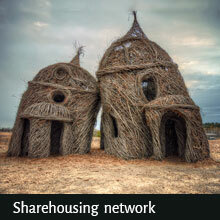 And check out our Facebook page. AYCC NSW has action groups across both Sydney and regional areas, from the North Shore to New England, and Western Sydney to Wollongong. We have strong groups on most major university campuses and as well as energetic groups in high schools throughout the state. Each young person will be differently impacted by climate change, and our volunteers care about a wide range of issues, from human rights, to environmental conservation, to political engagement. When young people come together they achieve great things, and we're stronger through our diversity. AYCC NSW volunteers are energetic and savvy young leaders who are dedicated to creating change in their communities and campuses. Our volunteers come together regularly to make plans, take action, and have their voices heard, and we're always happy to see new faces. Whether we're holding a strategy meeting or climate communications training, there's always a chance to have fun with other volunteers and to create long term friendships or build your network. AYCC NSW is the perfect place to meet new people, build your skills, and most importantly be a part of solving climate change. We love to hear from new volunteers who want to get involved - if you want to find out more send us an email to let us know where you're from and what you're interested in. 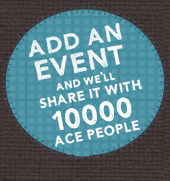 Get in touch via grace.liley@aycc.org.au and check out our Facebook page. We’re a growing branch made up of university students and young professionals - we have a big presence at ANU and the University of Canberra. Our branch is at the heart of where all the political action happens, we often race to Parliament House for rapid response media stunts - there is never a dull moment in Canberra. We hold regular social and fundraising events like Band and movie nights so there will be plenty of chances for you to meet everyone in the branch. We also run regular trainings so you can develop your skills and knowledge in areas like communicating climate change, campaigning and project management. As you may have heard, this year the Great Barrier Reef is at risk from huge coal expansions. As Queenslanders and as young people this isn’t ok with us and we’re not going to stand idly by whilst it all happens. We’re getting busy, and this year so far we’ve had conversations with over 2500 people as part of AYCC’s Game Change campaign and over the next few months we’re going to do everything we can to make sure our leaders know that we want them to protect our Reef. We also hold regular social and fundraising events so there’s always plenty of chances for you to come along, meet the team and get involved. 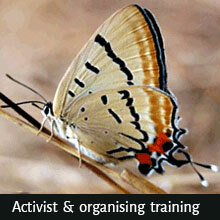 We also run trainings every few months where you can develop your skills and knowledge in areas like communicating climate change, campaigning and project management. We’d love to hear what you’d like to do, to help us not only protect the Reef but continue to tackle the issue of climate change. Find us on Facebook for our latest events. We work with the other climate and religious groups in WA to make sure we truly build a generation-wide movement to solve the climate crisis. 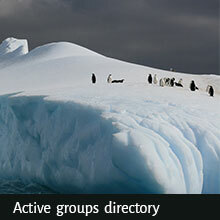 We have group at the University of Western Australia as well as several local groups. We hold regular social and fundraising events so there will be plenty of chances for you to meet everyone in the branch. We also run regular trainings so you can develop your skills and knowledge in areas like communicating climate change, campaigning and project management. We love to hear from new volunteers who want to get involved, if you want to find out more send us an email at wa@aycc.org.au and check us out on Facebook. Here in SA we have an incredible opportunity. We’re home to Port Augusta, a town home to one of Australia's dirtiest coal fired power stations, and replace it with Australia’s first concentrated solar thermal station. This means we always have something to get involved with: our Action Group network is spread across Adelaide rolling out the Repower Port Augusta campaign, joining actions to save our Renewable Energy Target, our Schools Team delivering inspiring presentations and mentoring school groups and our Events and Fundraising Team organising big fundraisers and events! In September of 2012, we organised a 2000 person ‘Rally for Solar’ to support the Repower Port Augusta campaign and helped coordinate the 328km Walk for Solar. Early in 2013 we reached 10, 000 people about the campaign and knocked on thousands of doors promoting our Community Forum. In 2014, we ran a game changing clean energy campaign that has seen the RET saved (for now) - there is never a dull moment at AYCC SA. Sounds like your kind of thing? We get very excited when new people are keen to get involved, so flick us an email at sa@aycc.org.au or check us out on Facebook. Our branch started after a group of us went to Power Shift 2011, and we now have a great group of dedicated volunteers and a larger network of supporters. There is also an action group in Launceston and together we hold regular events and fundraisers. We hold meetings every Tuesday night at 5:30pm at Environment Tasmania (100 Elizabeth st) and run regular trainings so you can develop your skills and knowledge in areas like communicating climate change, campaigning and project management. We love to hear from new volunteers who want to get involved, if you want to find out more send us an email at katherine.whitmore@aycc.org.au and check us out on Facebook. 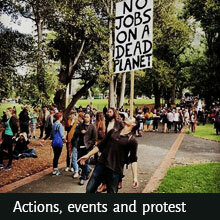 Since May 2011 the AYCC NT team has been working hard as part of the international movement to advance climate action. From Meet Your Member in Darwin to Repower Australia campaigning and networking with schools, businesses and environmental groups all across the NT, we continue to support and facilitate global change on a local, tropical level. The Australian Youth Climate Coalition is building a generation-wide movement to solve the climate crisis. Join us at a Darwin branch meeting or join an action group in your area and get amongst it! Contact us nt@aycc.org.au and see us on Facebook. Contact your state group to get involved or start your own local group.